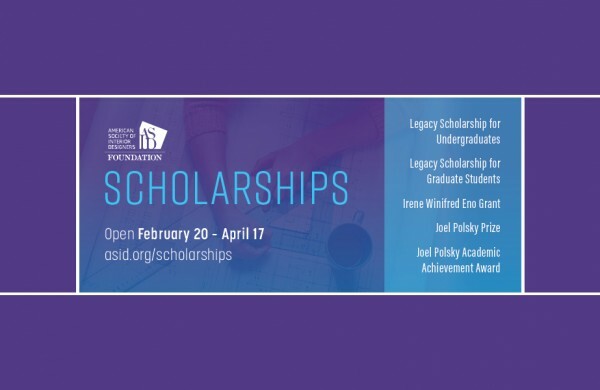 The ASID Foundation is proud to announce that its 2019 ASID Foundation Scholarships and Awards Program is open for applications Feb 20 – Apr 17, 2019. 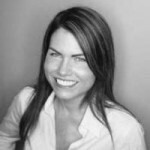 The Foundation will award up to five awards for outstanding work in interior design research, behavioral science, business practice, design process, theory, and more. Irene Winifred Eno Grant | Award: $5,000 – Recognizes outstanding academic contributions to interior design through print or digital communication. Types of entries include books, whitepapers, blogs, videos, and more. Joel Polsky Prize | Award: $5,000 – Recognizes outstanding academic contributions to interior design through print or digital communication. This year the ASID Foundation is seeking submissions focusing on the impact of design on health and wellness. Joel Polsky Academic Achievement Award | Award: $5,000 – Recognizes outstanding academic contributions to interior design through print or digital communication. Types of entries include books, whitepapers, blogs, videos, and more. Legacy Scholarship for Undergraduates | Award: $4,000 – Open to all students in their junior or senior year of undergraduate study enrolled in at least a three-year accredited program of interior design. Legacy Scholarship for Graduate Students | Award: $4,000 – Open to students who are enrolled in or accepted to a graduate-level interior design program at an accredited university. Both ASID members and nonmembers may be eligible and can apply at no cost. Applications will be accepted through April 17, 2019.